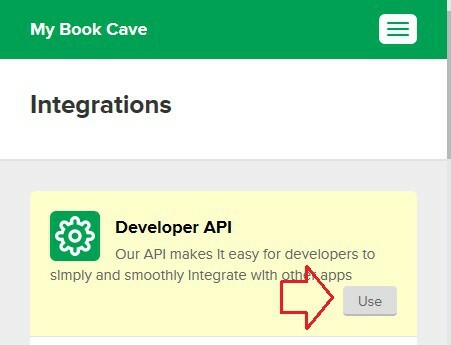 Login into MailerLite, then select Integrations on the account menu. 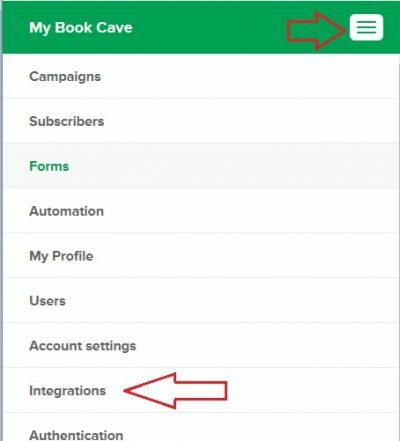 For smaller screens, the account menu is the 3 horizontal bars on the top right corner. The Integrations page will have many different options. The one we want is the top one, Developer API. Click the "Use" button on that option. 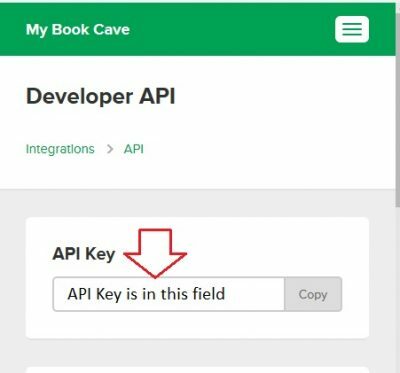 Your API Key will be on this page.